Debatahon 2018 will be held on 3 June, 2018. 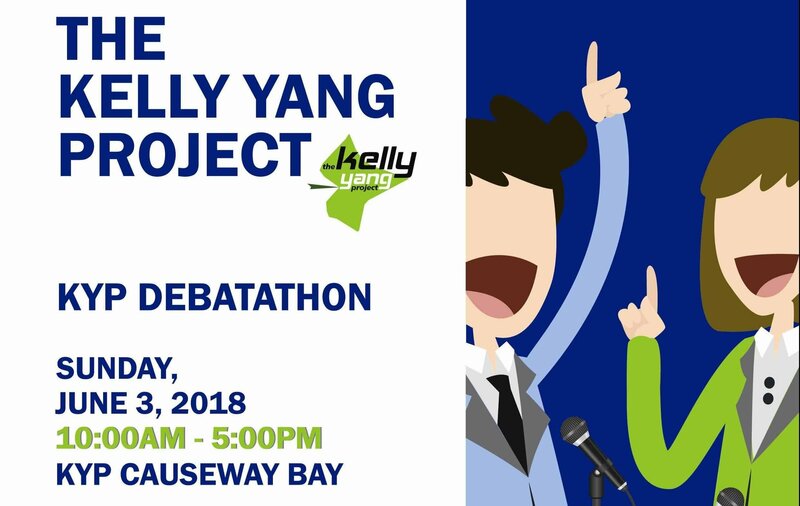 We are excited to announce that this year’s annual KYP Debatathon will be held on Sunday, June 3 from 10:00 am to 5:00 pm (with a lunch break from 1-2pm) at KYP Causeway Bay. To encourage our young debaters, we are limiting this competition to students under age 12. We believe that the intensity of a competition judged by world-class debate coaches is an amazing opportunity for our primary students to see fast growth in their debating skills! The debates will be in the World Schools format. Students will be assigned teams upon arrival on the 2nd. Two of the motions given will be impromptu and one will be prepared. The impromptu motion will be given to debaters 45 minutes before they are expected to begin the debate–so no research will be necessary. The prepared motion will be given out one week before the competition date. Speeches will be no longer than 5 minutes in length; the reply speeches will be no longer than 2 and a half minutes. Each team will participate in two debates, and then the two teams with the best records will compete for the grand finals starting at 4:15 pm at KYP Causeway Bay. The winners will be crowned Hong Kong Debatathon Champions! Due to the limited number of available rooms, we are capping the number of entrants for this competition at 24. Entries will be processed on a first come, first serve basis. The entry fee is $800 HKD. You must be a current KYP student enrolled in a KYP Debate or Global Thinking class to enter the competition. Parents, on Sunday, June 3, please drop your children off at KYP Causeway Bay at 10 am with a sack lunch and return to watch the Grand Finals at 4:15 pm. We apologize that due to space constraints, we are unable to allow parents to watch the preliminary round debates. However, tickets are available for watching the Grand Finals at 4:15 pm for $100/ticket. Please note that we will be video-recording this competition and streaming it live on our Facebook page: facebook.com/kellyyangproject. We’re excited to host this exciting debating event and we hope to see you at KYP Debatathon! Eligibility: Debate competition open to all students under the age of 12.